Blushing. 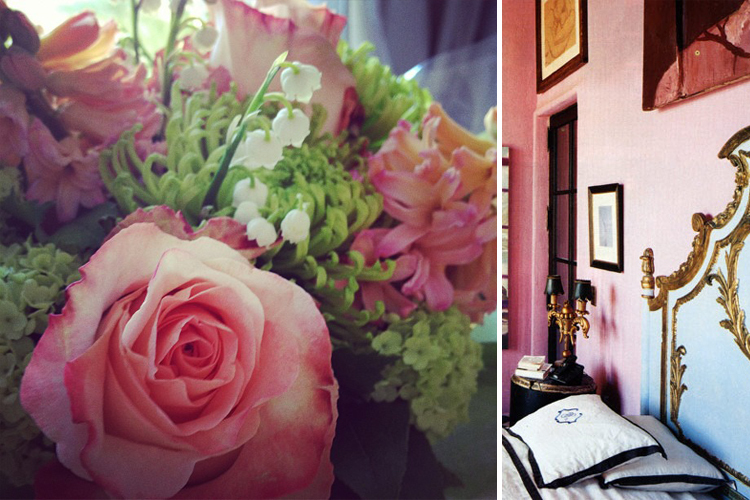 A bouquet from the lovely folks at Talk Shop Media and a peek into Julian Schnabel’s colourful home. Wrap it up. 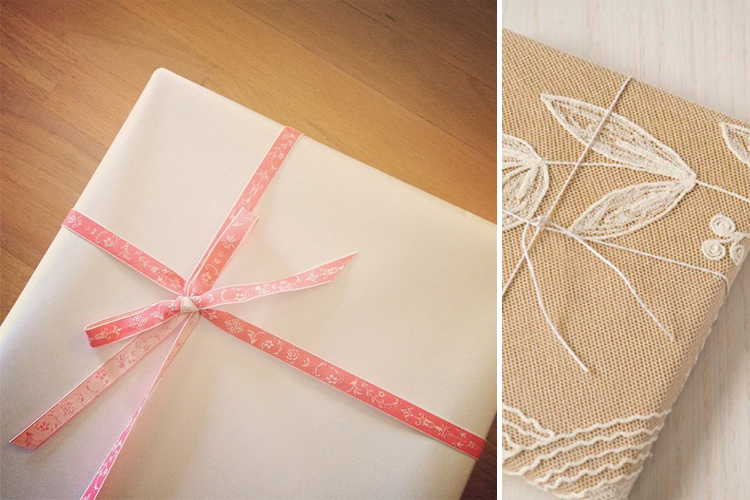 A gift for my bebe from my friends (and Northill clients) at The Cross Decor and Design and a brilliant lace and craft paper wrap job out of Sweet Paul Magazine. A fresh take. 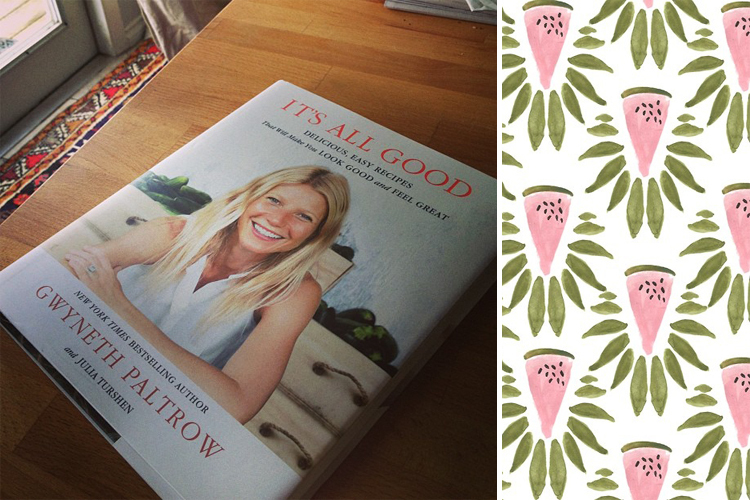 I have yet to open Gwyneth Paltrow’s latest cookbook but I’m confident it’s packed with fruits and veg, not unlike this watermelon and leaves print, which you can order here. 18 karat. 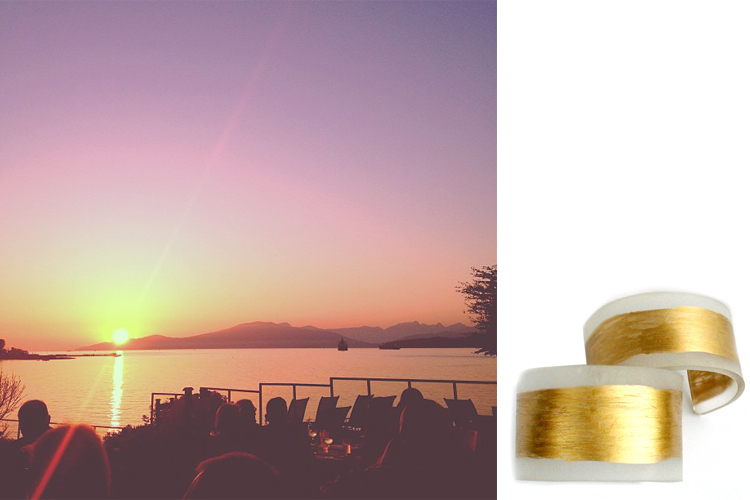 A view of a gold-banded sunset at Jericho Beach and gold-leaf cuffs. P.S. There are more photos where these came from so add The Anthology on Facebook.